Bailey’s Tonsorial Barber Shop: It started with pomade. As you know, sometimes we can find yourself in a situation we didn’t see coming. Just this Sunday passed I was binging on the internet, choosing to spend the oh so “holy” of days deepening my understanding of pomades, how they can be used, what brands were out there, how they are made etc. I know, I’m so cool! 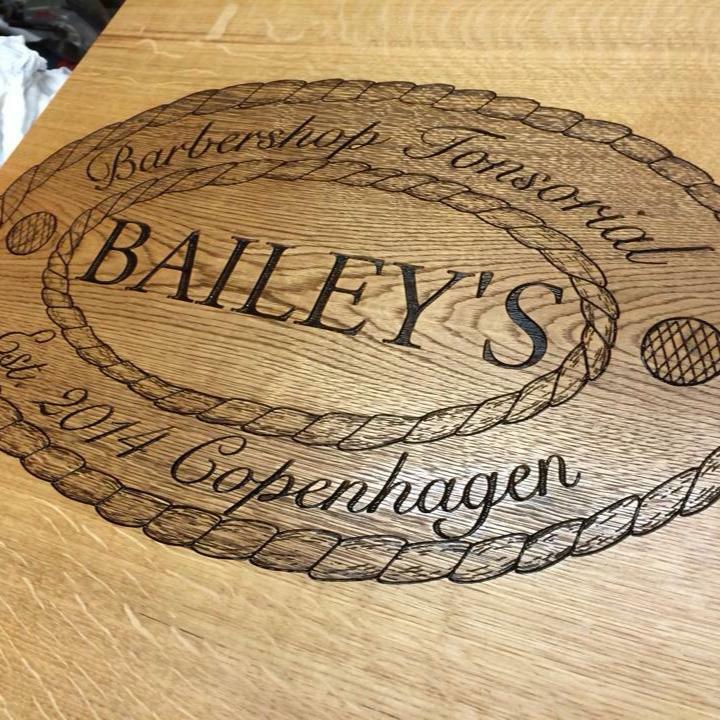 I happened upon Bailey’s Tonsorial Barbershop right here in Copenhagen. They are looking for a barber! Next day I’m in the shop talking with Jermaine and getting a feel for the place, it’s a great shop. Worked around a wine storage and decorated perfectly, mixing mid 20th century American style and popular culture with a clean modern layout. There are pictures of Muhammed Ali, a superman no.1 comic poster even the ol’ Stars ‘n’ Stripes. Jermaine is a very well turned out gentleman taking as much care with his appearance as he does with his clients. The atmosphere is relaxed but formal. Anyway, I now work from a chair here, after chatting with Jermaine he decided to try me out. You can book time with me Monday to Friday check the link for details on the facebook page. Copyright 2015 Fraser The Barber. All Rights Reserved.